In 1997 my work began on the wheel creating one of a kind functional and decorative pieces, and grew over the years into abstraction, sculpture and installation. 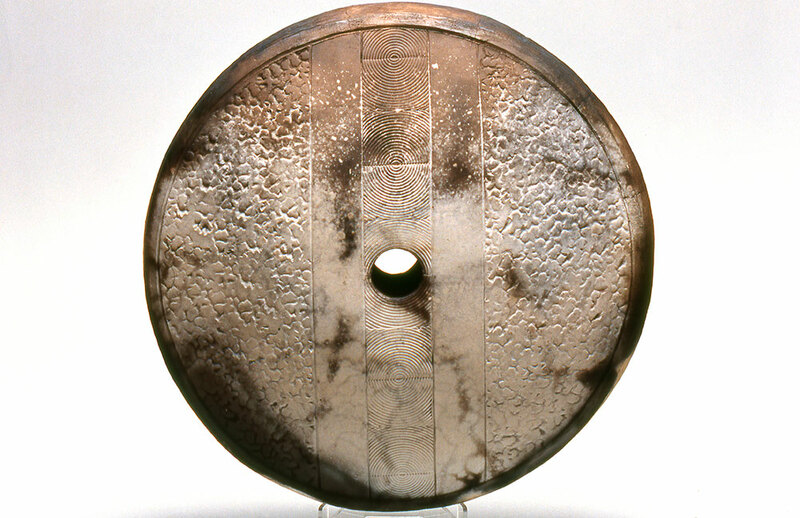 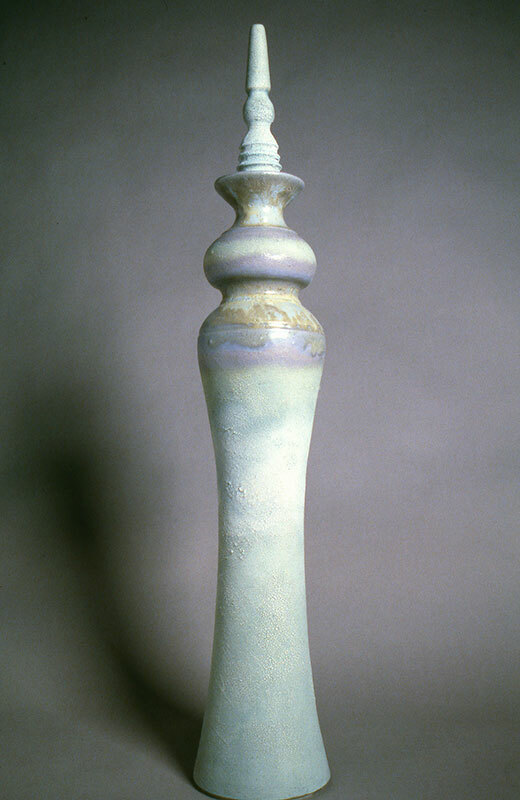 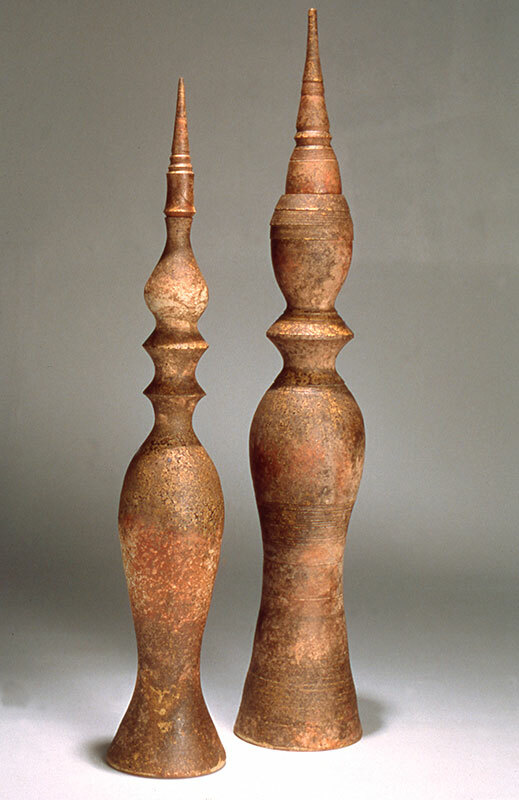 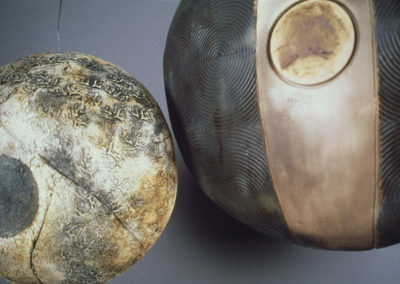 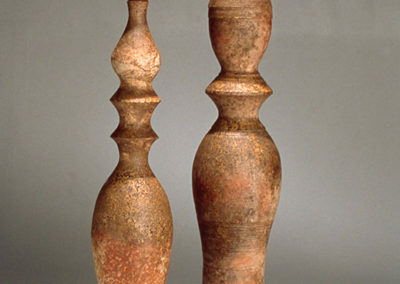 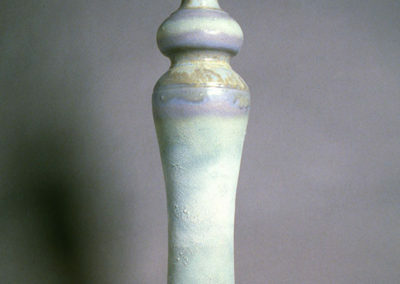 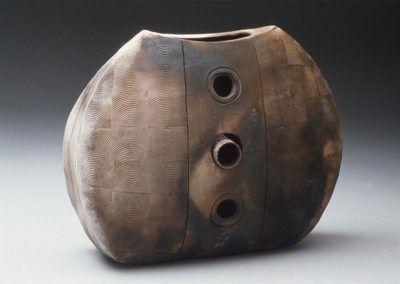 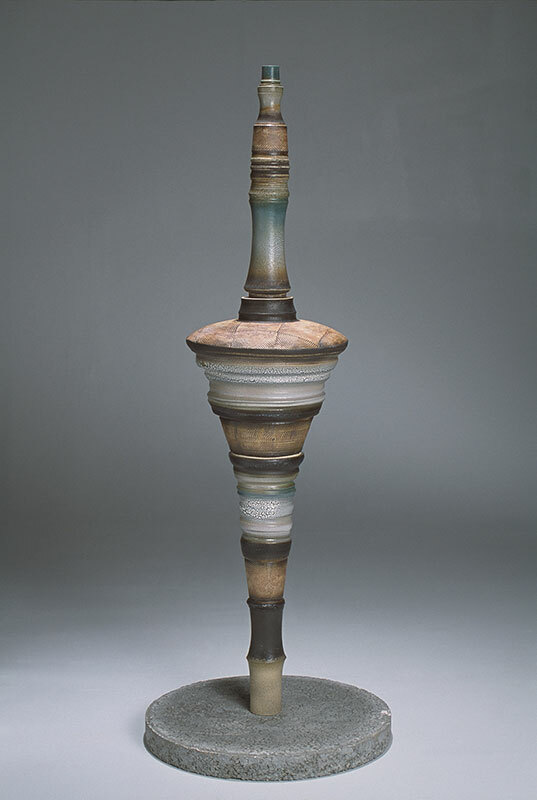 Early sculptural work includes explorations of scale; of gouging and imprinting the clay; of multilayered textural glazes; and of reduction, smoke and wood firing. 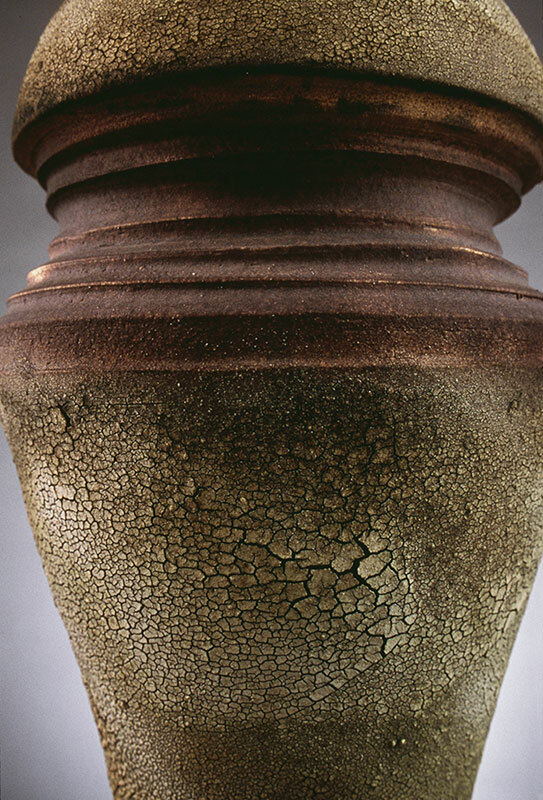 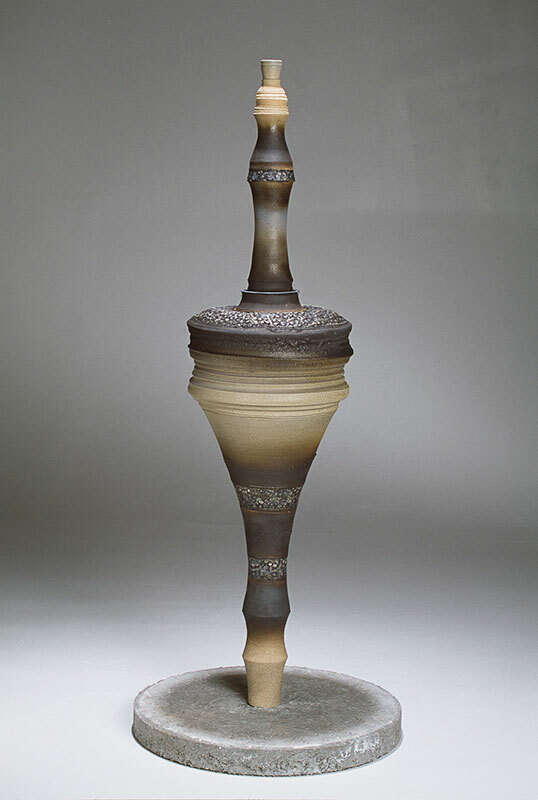 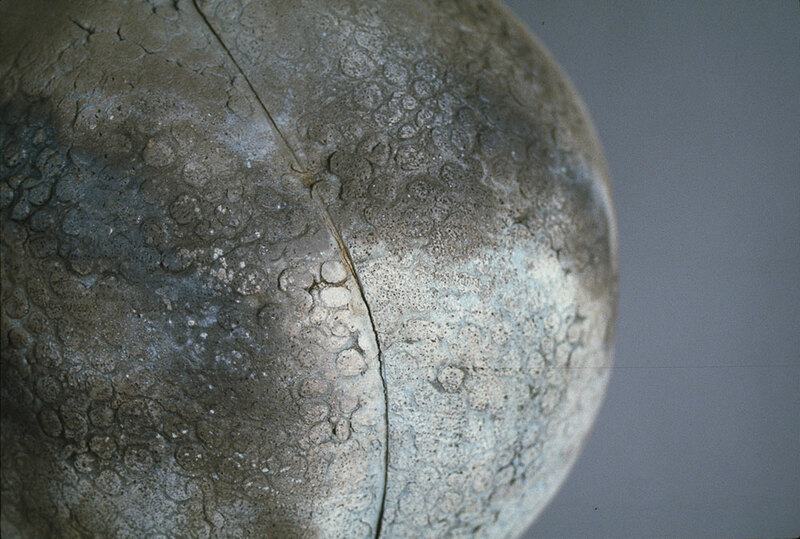 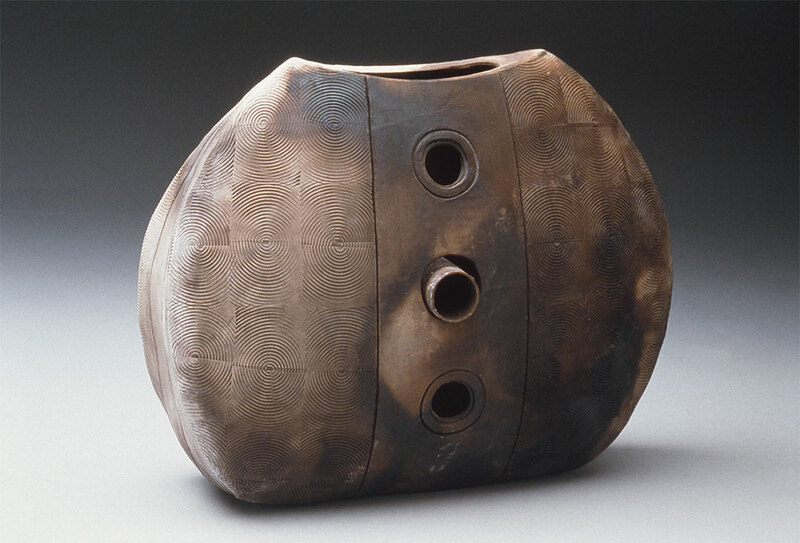 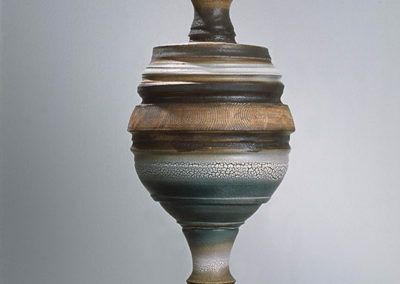 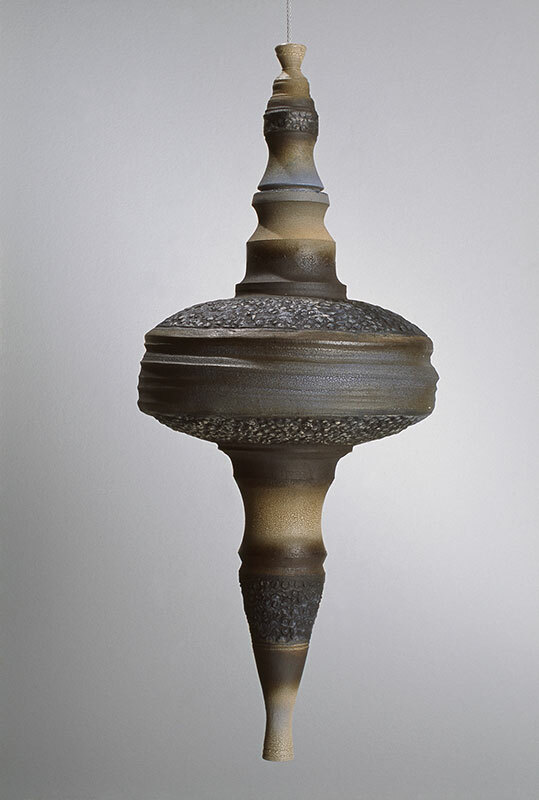 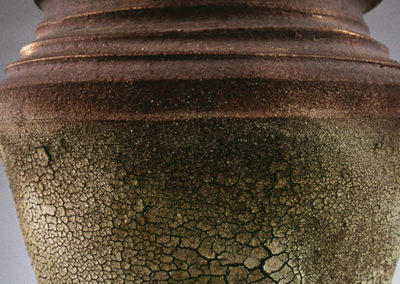 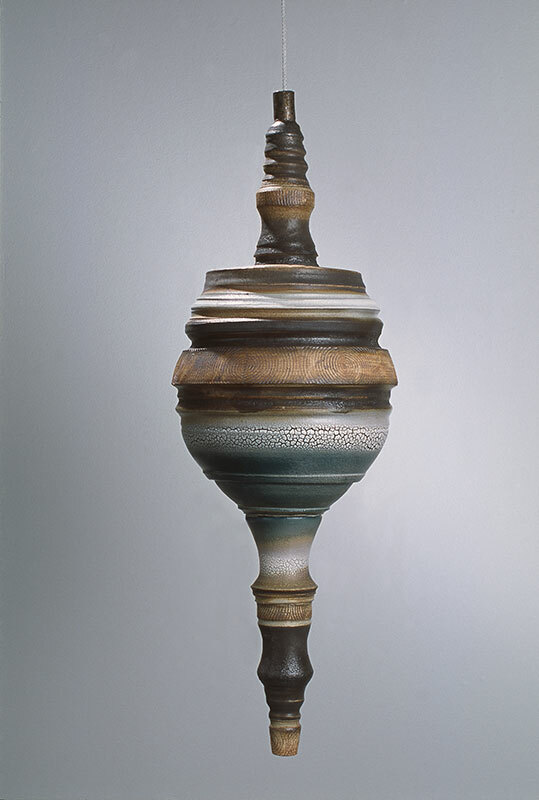 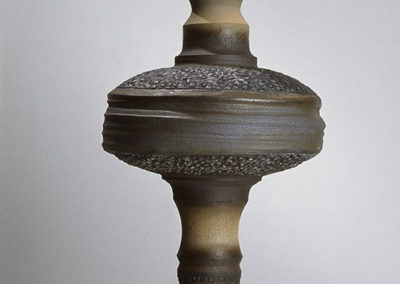 Convergence is a body of thrown vessels, each layered with textural glazes to evoke something elemental – the imprint of coral, a creeping lichen, the movement of the wood fire flame. 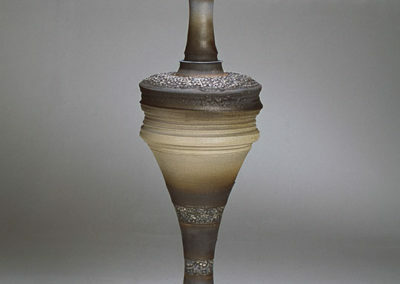 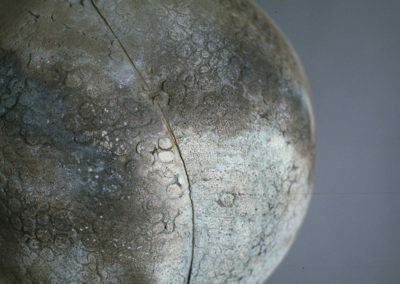 It was exhibited at the Visual Arts Alberta Gallery in Edmonton in 2005 and at the Fernie Arts Station in 2004. Scorched documents the start of my fascination with simple forms, such as the disc. 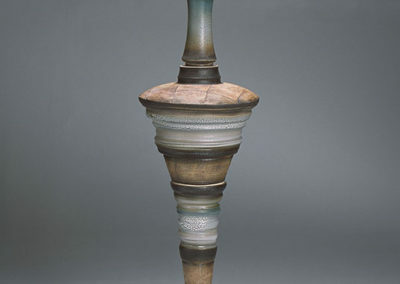 Stalactite and Stalagmite looks at the relationship of vessels to each other, as the former is suspended an inch above the tip of its significant other.